This listing is for a new pair of mahogany red satin floor standing Acoustic Technologies Classic-Series speakers. Their uniqueness is unbeatable; a full range, single-driver loudspeaker with a large-scale, valuable sound. Original retail on these was $2,450. We have several pairs available as a factory closeout. This is an amazing deal on these speakers, you will not be disappointed. Please specify Mahogany or black when ordering. The non plus ultra for music lovers and audiophiles are loudspeakers capable of precisely reproducing the sounds of musical instruments and voices as they were recorded. 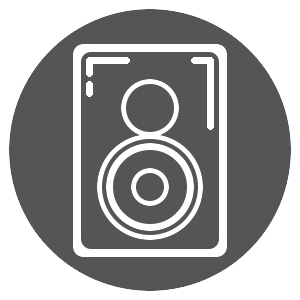 Most loudspeakers rely on electronic circuits and multiple drivers, each dedicated to a limited frequency range, to attempt accurate reproduction of original sound recordings. Unfortunately, every additional circuit and driver introduces some amount of unwanted interference and distortion, potentially degrading the reproduction of the original sound recording. All speakers make compromises and certainly the Classics were no exception. But I did not find them objectionable. I was too busy thoroughly enjoying the music. Many speakers can capture the basic core of music. But the Classics did not capture it; they set it free. Music had life and presence that made me feel like I was there. Unlike many more costly speakers, the Classics get out of the way of the music. In another sense, they get out of the way period since they are so room-friendly and beg to be listened to off-axis. Although they perform very well in a small listening room, they also thrive in modern, open-architecture living areas. In short, these speakers are for real-world listening conditions." Specifications: Type: Full range, 3" single driver loud speaker Driver: 3" w/ titanium cone Internal Wiring: Solid silver (99.99% Purity) Binding Posts: Gold-plated copper Crossover/Filter: None Nominal Impedance: 8 Ohms Rated Power Input: 15 Watts Maximum Power Input: 30 Watts Dimensions (H x W x D): 43.25 x 6.25 x 9.75 inches Net Weight: 35 lbs per speaker. Decibel Audio is a retail store and custom installation business in the Wicker Park neighborhood of Chicago. We have serviced the Chicagoland area with new, used and vintage equipment for over 20 years. Visit our brick and mortar store at 1429 N Milwaukee Avenue, Chicago, IL 60622. We are Authorized Dealers for Audioquest, Benz Micro, Cambridge Audio, Cary Audio, Clearaudio, Creek, Crestron, Denon, Draper Screens, Dynaudio, Epos, Goldring, Grado, Harbeth, Jolida, Music Hall, James Loudspeaker, KEF, Marantz, Parasound, Pro-Ject, PS Audio, Plateau, Rega, Rogue Audio, Russound, SONOS, Stewart Filmscreen, Samsung, Skylan, Yamaha, and more. All shipping is via UPS ground unless other arrangements are made. Buyer is responsible for reviewing cosmetic condition detailed in photos before bidding. You are welcome to pay with Visa, MC, Checks, Discover, Diners, AmEx, Etc. 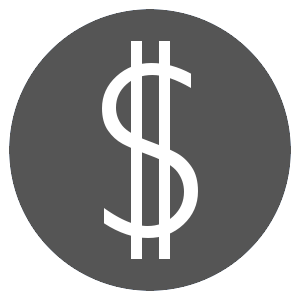 We prefer Paypal for international bidders. Local customers are welcome to view and pick up auction items during store hours. Illinois residents please add 10.25% sales tax.